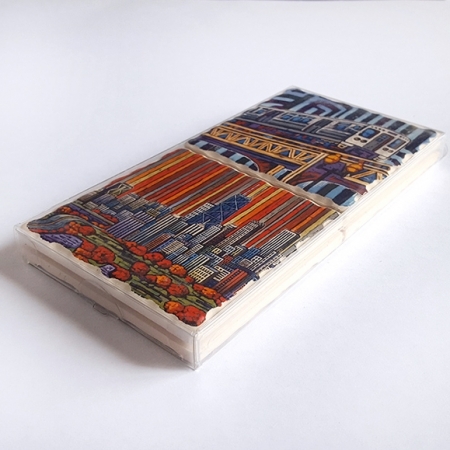 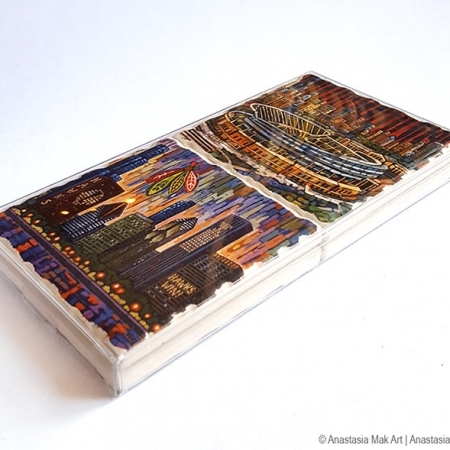 CHICAGO BUILDINGS COASTER SET: set of 4 Chicago coasters featuring artwork by Anastasia Mak. 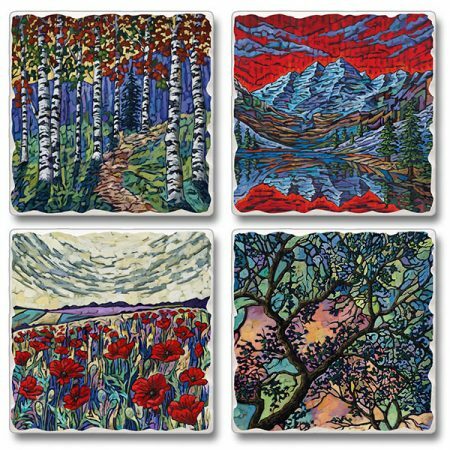 Coasters are made from absorbent sandstone tile (condensation will not cause drink glass to stick to coaster). 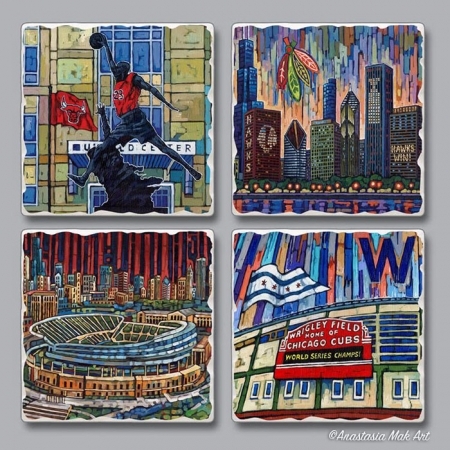 This is a great complement to Chicago Views Coaster set and Chicago Sports Coaster Set. 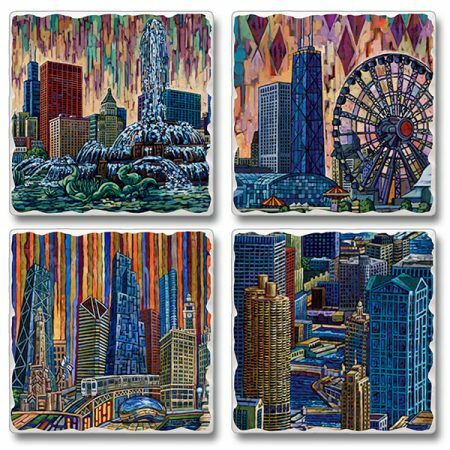 Chicago Buildings Coaster Set – this set contains one each of the following Chicago painting images: “Buckingham Fountain”, “Navy Pier Ferris Wheel”, “Orange Chicago”, “River of Big Shoulders”. 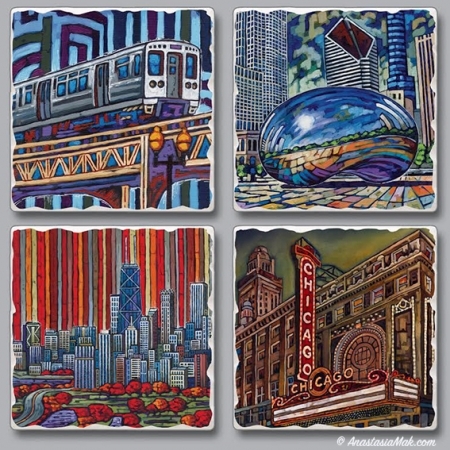 Set ships by USPS Priority Mail within USA.